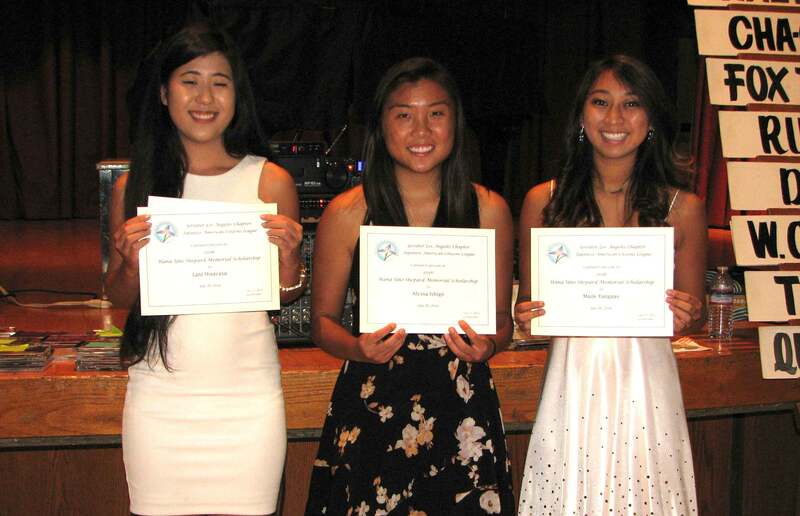 From left: Scholarship recipients Lani Hisayasu, Alyssa Ishigo and Maile Yanguas. GARDENA — The Greater Los Angeles JACL held its Hana Uno Shepard Scholarship presentation and chapter fundraising dance on July 30 at the Ken Nakaoka Community Center in Gardena. • Lani Hisayasu, who graduated from Gahr High School in Cerritos and will major in computer graphics at CSU Dominguez Hills. The evening also included dancing, a buffet, an opportunity drawing, and an exhibition of ballroom dances by David Shinjo, Gira Nakamoto and the Monday Night Formation Team. 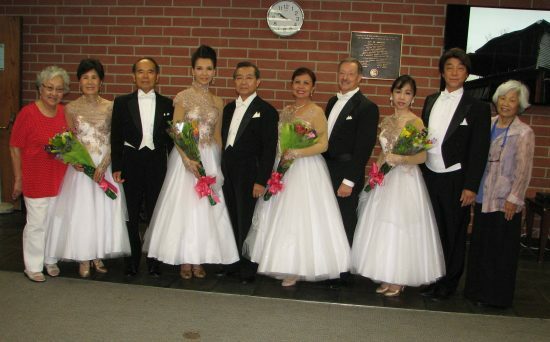 From left: Janet Okubo of GLA JACL; dance partners Kikue and Shoji Miyagishima, Gira Nakamoto and David Shinjo, Cora Alvar Ravelo and David Hribar, Satomi Seo and Yoshi Ishii; and Miyako Kadogawa of GLA JACL. Below: The Monday Night Formation Team’s exhibition of ballroom dances.